Some people would say that you cannot become a successful entrepreneur, but that you either have it or do not have it. However, many things can be learnt and becoming a successful business owner is not an SF-scenario. It does require a lot of time and energy for literally educating yourself in terms of business and communication. Also, when your business already outgrows your CEO potentials, the most important decision you will make is choosing the right partner or selling the product and move to a new one. That moment is often hard to recognize, because entrepreneurs often overrate their skills. Developing a business from scratch requires an enormous amount of energy and vision. People who are able to start a business, develop it and then keep it on a high level are usually hard to find. That is why such individuals are the pillars of every economy. However, the beginning is very difficult, since you have to spend nights and days in your office or plant to supervise works and even take part in them. Once you notice that you or and your closest aides cannot cope with the load of work, it is time to hire new workers. However, try to stay fair as much as you can towards your workers. Many employers lower the wages and take more employees, which often creates dissatisfied workers and yields worse results than fewer workers with higher wages. 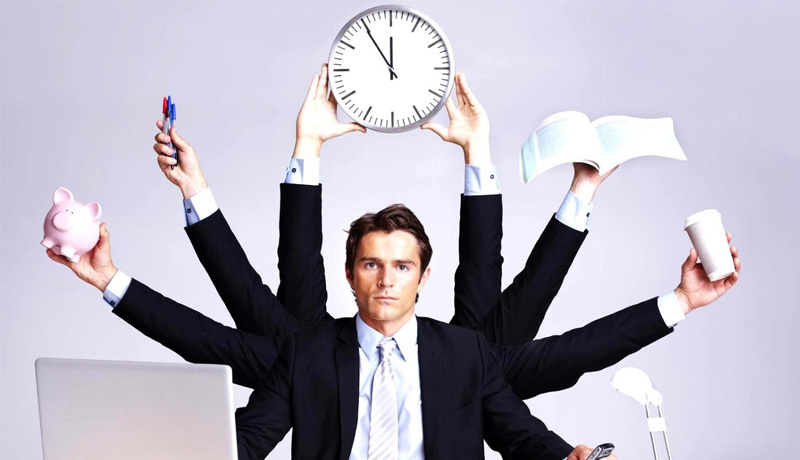 Everybody who has tried juggling a couple of jobs knows how important it is to manage the time in a proper way. If you are not able to harness your own time, it is highly probable that you will not be able to create schedules and set normal deadlines for your employees. To plan your time successfully, you should always know at least two days in advance your appointments and work duties. Also, before you turn to relaxation and rest, always check the most important points for the following day and prepare yourself for them with the adequate materials and resources. When you come to a meeting unprepared or do not have functional software necessary for work tasks, you will break the deadlines and feel much more stressful than when everything is prepared and planned. If you keep your plan in place and stick to it, you will be able to assess the achieved goals and establish new objectives on the path of your success. One of the most important characteristics of successful entrepreneurs is his or her ability to adapt to new conditions and learn new things. Although it might be that you were among the most progressive ones when you started your business, the world is speeding up and you have to catch the pace with the changes. Among those skills that need to be learnt or improved are communication skills. While it is true that CEOs of large corporations still stick to the business dress code, smaller IT businesses usually take a more relaxed approach. If you want to use the knowledge and energy of younger workers, you should adapt a little bit to their world, as well. Gaining new communication and work skills in general is something that will make your business more profitable and your role of boss a more appealing one. Next articleHunt The Musical Knacks At Vinylmint!